CCM JetSpeed FT 340 Junior Hockey Skate | Sports Etc. 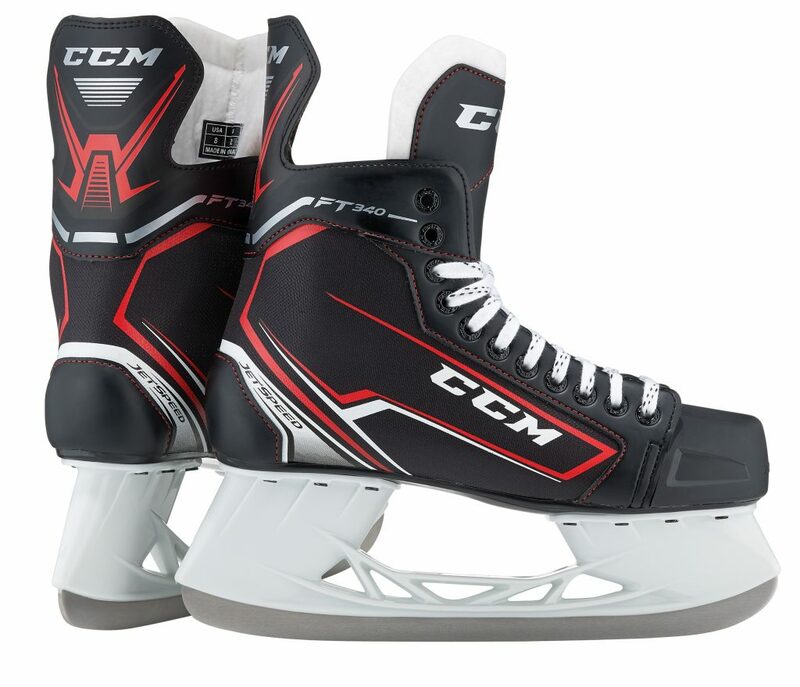 The CCM JetSpeed FT 340 skate is a good place to start your game. The generous cut of the skate along with the comfortable microfiber liner makes this the perfect skate for beginners. Supportive enough for anyone just starting out and for recreational skaters at any stage in their development. Naturally close fit around the entire foot. True 360-degree custom fit for maximum wrap. Good for normal to slightly full feet. Sports Etc Performance To Value Rating– 8 out of 10- A good skate for beginners and for recreational skaters. This model has an improved contoured design around the ankles, which make it a great fitting skate.